Because sometimes you just need to hear it…Especially from World Order. I love music. Always have. I grew up in the 1970’s listening to my dad’s old Beatles records or music that my older sister turned me on to like Queen and Styx. My parents indoctrinated me with ethnic folk music (mostly Latin American). When I hit middle school it was the early 1980s. New wave and Brit pop were in. I listened to Devo, Howard Jones, Heaven 17, Nik Kershaw, The Fixx, Adam Ant, and Billy Idol (his new album has some great songs BTW). But high school was the game changer. I got into hard rock and heavy metal. I loved it. I grew my hair out, donned black t-shirts, and wore leather. From Kiss to Def Leppard, Dokken to Dio, Megadeth to Slayer. I couldn’t get enough. 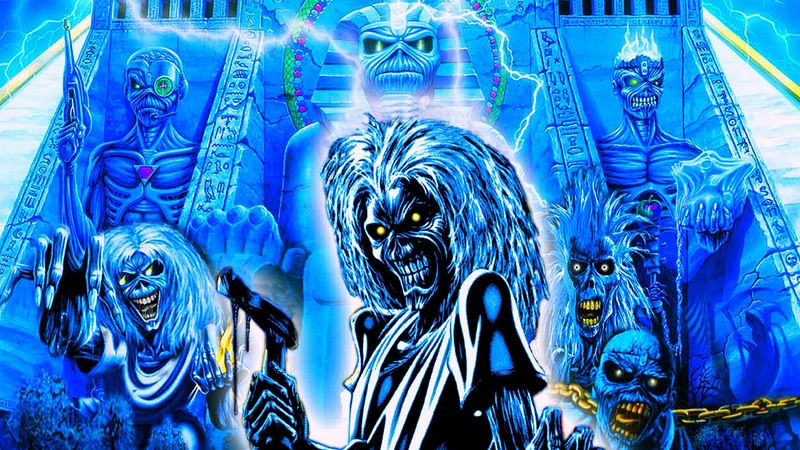 And then there was Iron Maiden. Forget about it. They were (and still are) my favorite. Soaring vocals, long songs, intricate guitar work, lyrics with depth (often based off of literature or historical events), all on top of the theatrics of a huge stage show. What is not to love. As the 80’s progressed there came heavier stuff: Megadeth, Slayer, Metallica. I consumed them all. But one of the big 4 appealed to me most of all. Why Anthrax. They had all the appeal of heavy guitars and crashing drums that any adolescent boy would love, but they had something else as well. They were positive and they were fun. These guys read comic books, wore Bermuda shorts, wrote songs about Stephan King books, collaborated with Public Enemy, and acted goofy. 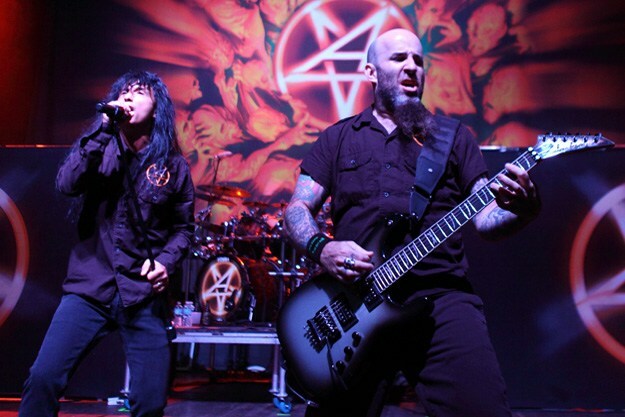 In all the doom, gloom and seriousness of metal, Anthrax were fun and often gave positive messages. That is ClariS. The song “Click” is the Opening theme (OP) to the anime Nisekoi. ClariS is a very talented duo girls from Hokkaido, Japan. They got together in 2009 when they were in junior high, doing cover songs and submitting them to a video sharing site. They were signed to a label and by the next year released their first single “Irony” which was used for the Oreimo OP. They have since released 3 albums and numerous singles, many of which are associated with popular anime. I love ClariS’s little bubble gum pop songs. They are addictive. They are happy sounding. They are fun. And I think that is what it comes down to for me: Fun. I also come to enjoy a song through the visual and emotional connection that one has with a show that I’ve enjoyed. I hear the song every show. I enjoy the show. I come to enjoy the song. Now not all OP songs are created equal in my experience, but that is true with all music. That’s enough for now. But listen to new things, love new things, see what the world has to offer. If I didn’t I would still only listen to heavy metal…and that is just one small part of what life can give you.